We knew that child themes are updating periodically. So you are fetching the lot of troubles when you are updating the theme. 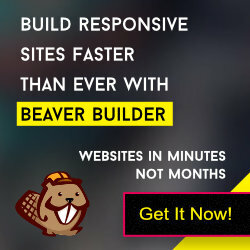 You can easily overcome this hassle using the latest version (2.0+) of GBeaver Theme. Step 1: Create a folder “customize-gbeaver” and put into wp-content folder. Now copy the style.css file from themes/gbeaver folder and put into “customize-gbeaver” folder. Step 3: Open the style.css file from customize-gbeaver folder and feel free add new css or edit/delete the existing CSS code. You can also optimize this CSS file by removing the unwanted CSS codes. Therefore you will not loss any custom codes when new version will release. Notes: Follow this guideline who is already creating the site(s) with very old version.